Photo 119. HMS Glowworm under Fire. HMS Glowworm under fire. 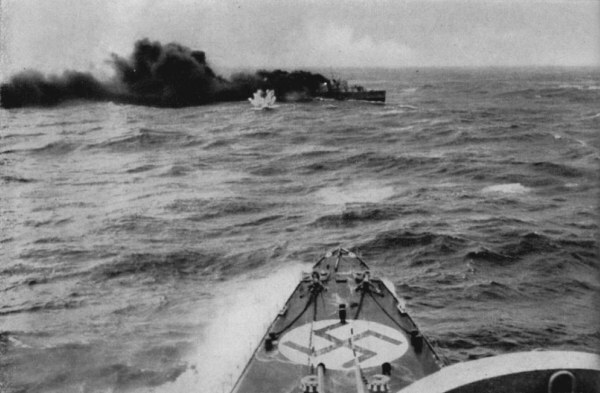 The British destroyer HMS Glowworm (Lieutenant Commander Gerard Broadmead Roope) under the fire of the German heavy cruiser Admiral Hipper on 8 April 1940. This photo was taken shortly before both ships collided. The valiant British ship decided to ram the Hipper in a last ditch effort before she sank. The Germans rescued 38 survivors.